I have always wanted to to try out one of the Chanel travel makeup palettes, but they never seem to launch in India, and even when I moved to the US, I somehow managed to always miss them whenever they were released. 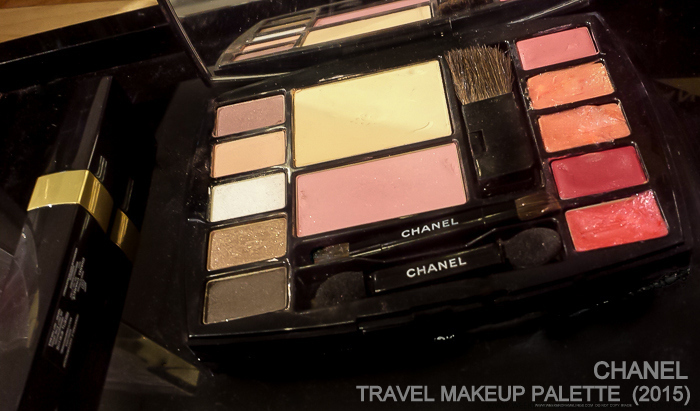 Nordstrom has a new Chanel Travel Makeup Palette available currently, and I tried it out while at the counter. The palette has 5 eyeshadows and 5 lip color options along with the Les Beiges powder in 20 as well as a soft pink Joues Contraste blush (listed as Rose Shimmer). The palette comes with 2 tiny applicators for the lip and eye products as well as a small powder/blush application brush. I suppose they could be useful in a pinch, but I think carrying your own brushes/applicators might be a better idea. 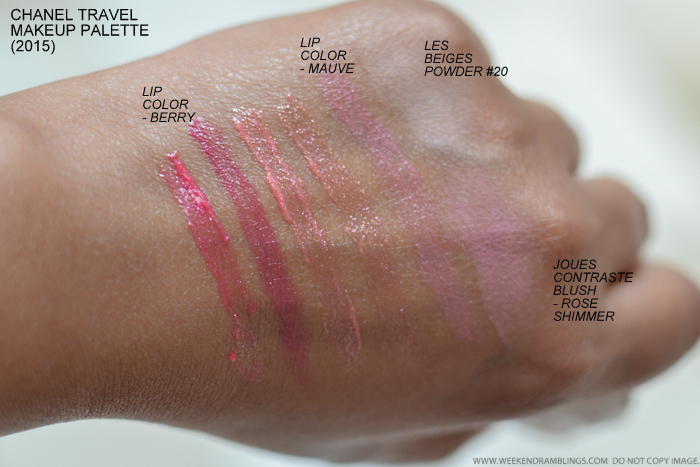 Anyhow, here's a peek at the swatches of the products included in this palette. I don't generally have a very high opinion regarding most travel/premade palettes, mostly because the products tend to be not as good as the same products sold individually. In case of the Chanel makeup palette, of course, I don't think there are any exactly identical individual products (except the Les Beiges powder) to compare with. 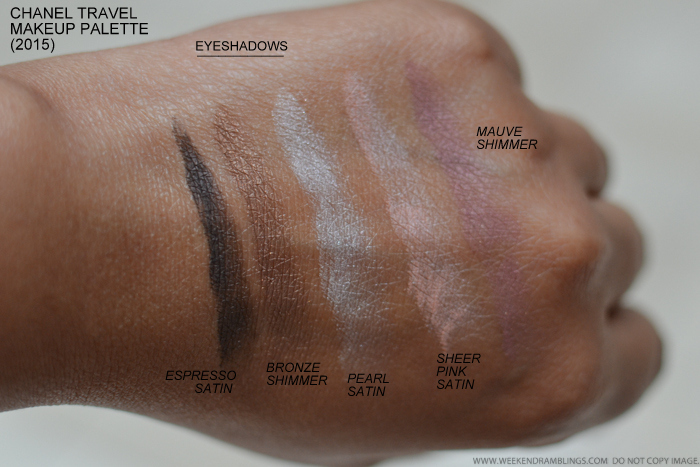 That said, the eyeshadows and the powder products in the palette are amazingly smooth and quite pigmented. Even the lip colors seemed to show up quite well on my hand, though they do seem a little on the sheer side. The Les Beiges powder is too light for me to use, but all the other colors included in the palette seem very wearable and the sort that would work on most skin tones. I have read, though, that the powders tend to fly around and mix up with the glosses with use, and over time, you can end up with a very messy palette. Also, as I mentioned earlier, I won't rely too much on the applicators included with the palette. A travel-size Chanel Inimitable Mascara in Noir (black) is also added with the palette. Links provided in the post are for information only and are NOT affiliate/sponsored links. I am extremely grateful for all the shares and link love, but please do not copy/download images from the blog and repost on your social media channels or blogs. Thanks for swatching these. I thought the blush and powder might be too light for our skin tone, and at this price, that's a deal breaker. True...the powder definitely is too light..the blush might show up as a soft rose color.